There is new hope for the survival of an American sentenced to death in Iran for spying today, as Iran has overturned the death sentence for Amir Hekmati. Judges have said the case was "not complete," according to a BBC report and have ordered a retrial. "There were objections to the verdict by the Supreme Court," judiciary spokesman Gholamhossein Mohseni-Ejei said during a news conference in Tehran, as quoted by the Iranian news agency Isna and quoted by the BBC. "The Supreme Court found shortcomings in the case and sent it for review by an affiliate court." 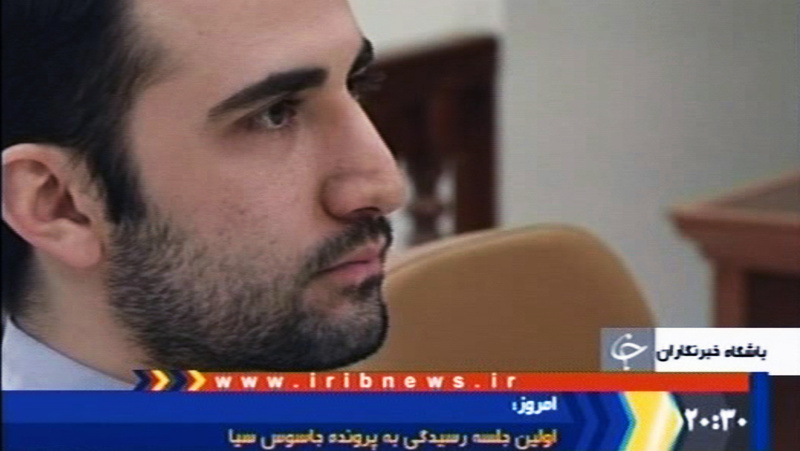 Hekmati was sentenced to death in January after appearing to confess on Iranian television in December that he was a spy for the CIA. As part of his spy work, he said in the confession, he helped make games for a New York-based game development studio called Kuma, which he asserted was a CIA front. The US government and Hekmati's family have denied that Hekmati was a spy and have said the confession was not legitimate. Kuma representative have not responded to requests for comment about Hekmati's involvement with the company. U.S. Department of defence records indicate that Hekmati was involved in a language-training video game project pitched by Kuma to help members of the military learn and retain foreign language skills while abroad. Hekmati's mother was allowed to visit him in prison last month. His window to appeal his sentence had seemed to expire, but it now appears that the Iranian regime may have found their own reasons to spare the live of an American sentenced to die in Iran in more than 30 years since the Islamic revolution in that country. If you were working for the CIA, why the HELL would you go onto Iranian TV and say, HAI GUYS I'M SPYING ON YOU! What a complete moron. He must be more than a few brain cells short, surely. he did it to try and avoid the death sentence hoping they would give him 10 years or something. If he had said that he wasnt they would have said he lied and he would have been hung. Now Iran can appear to be fair and will give him a lighter sentence. If he hadnt said he was one they most likely would have tortured him as well. Well if he was a spy, he wasn't very bloody good at it.